3G/HD/SD short-delay broadcast down converter and distribution amplifier, with embedded audio handling and transport of timecode and closed captions. A unique level of image quality in its price range (with its sophisticated two dimensional filtering which avoids aliasing while retaining picture sharpness) and a short processing delay which makes your system design much simpler. Then there's the flexible outputs – with up to eight loop-throughs plus three SD or HD outputs configurable as mixtures of analogue and digital. Any applications where you want to keep the maximum quality of your 3Gb/s or HD signals when down converting – at a reasonable cost. 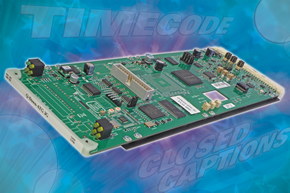 This version is particularly suited to sources containing timecode or closed captions. See who's using it. Try out the Q-Down-ATG 3G VisionWeb demo (opens in new window) – you'll see how easy it is to operate Q-Down-ATG 3G from your web browser, while exploring the full functionality of the product. Q-Down-ATG 3G is a broadcast down converter and distribution amplifier designed for broadcasters who want to keep the maximum quality of their 3Gb/s or HD signals when down converting. It combines the three advantages of outstanding picture quality, short processing delay and competitive pricing and includes four audio group handling, transport of timecode and closed captions, and the option of integrated fibre input or output connectivity for additional flexibility. Q-Down-ATG 3G can down convert 1080p 3Gb/s, 720p HD and 1080i HD at both 50Hz and 59.94Hz. The down converter is bypassed when the input and output are the same standard so that the signal is passed without degradation. Q-Down-ATG 3G enables broadcasters to design incredibly flexible installations working with both High Definition and Standard Definition pictures. Q-Down-ATG 3G offers real flexibility when it comes to configuring the outputs - providing up to eight reclocked loop-throughs of the 3Gb/s, HD or SD input, along with three down converted video outputs. Q-Down-ATG 3G provides either one (with fibre option fitted) or two reclocked loop-throughs of the 3Gb/s, HD or SD input, along with an additional six loop-throughs if a DA6 top board is fitted. The three down converted video outputs are individually link selectable between analogue and digital. 1080p video can be converted to 720p or 1080i digital and analogue (YUV and RGB, with integrated tri-level syncs) or to SD digital and analogue (composite, Y/C, YUV and RGB). 720p and 1080i video can be converted to mixtures of SD digital and analogue (composite, Y/C, YUV and RGB). Using Crystal Vision's proprietary processing, Q-Down-ATG 3G provides a unique level of image quality in its price range - avoiding aliasing while retaining picture sharpness. The sophisticated two dimensional filtering gives broadcast results without the complication of looking at multiple fields or movement detection - resulting in reliable, artefact-free conversion. There's the choice of four alternative filter characteristics - sharpest, sharp, softest and soft - for those who want to optimise the performance for their material. RGB and YUV lift and gain controls allow independent digital image adjustments in both the RGB and YUV domains to help maintain colour fidelity. With Q-Down-ATG 3G there is no need to compensate audio or other signals for the video delay. The short processing delay of just 16 SD lines (or 52 lines with Letterbox conversions) keeps everything in sync, making your system design much simpler - and makes it easy to detect real lip sync errors when you're monitoring the video and listening to separate audio. For those that want to match other equipment delays in the system there are two fixed video delay settings: ‘minimum’ (16 or 52 SD lines processing delay, depending on the conversion) and ‘frame’. The ‘frame’ of delay can be used to match a variety of equipment or alternatively to connect with equipment that has no delay. Q-Down-ATG 3G also includes a fully flexible variable video delay of up to one video frame, adjustable in one line steps. Q-Down-ATG 3G includes the ability to deal with any HD to SD aspect ratio conversion requirements. You can select a 16:9 Anamorphic output for 16:9 SD systems and either a 16:9 to 4:3 Letterbox, 16:9 to 4:3 Letterbox compromise, or 16:9 to 4:3 Full Screen with centre cut for 4:3 SD systems. Q-Down-ATG 3G will also allow you to customise the shape of your output picture. Each of the standard aspect ratios can be individually adjusted away from the default values to create customised versions by using four independent sets of size, position and crop controls. Q-Down-ATG 3G ensures the picture is always the right shape by coping with both analogue and digital SD blanking widths – particularly useful for feeds that are up and down converted multiple times. When used with an Anamorphic conversion, the analogue blanking width option puts the active 1920 pixels from a 1080i or 1080p picture into 702 pixels of SD (rather than 720 pixels), with the rest of the pixels used to represent analogue blanking – which prevents the SD signal from losing the sides of the picture. All other aspect ratios are adjusted by a similar amount. You can let Q-Down-ATG 3G automatically choose the appropriate aspect ratio for you according to the SMPTE 2016 AFD data embedded in the 3Gb/s or HD input video. 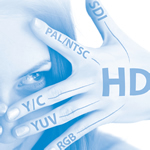 HD programmes are often made of a mixture of true High Definition sources and SD-originated sources that have been up converted, and the SMPTE 2016 AFD code in the signal gives information about which areas of the screen contain a picture and which areas have black ‘padding’. The down converter needs to read this signal and select the correct aspect ratio conversion to be used with the down conversion. Q-Down-ATG 3G offers three options for the SD output. With Auto 16:9 mode the SD outputs can be set to be always 16:9 and in this case it will do the down conversion without ever changing the aspect ratio. Alternatively the SD output can be set to be always 4:3 (Auto 4:3 mode), in which case it will down convert and perform either a Letterbox or centre cut, depending on the source material. There is also a third, adaptive option: Auto Adaptive mode. Here, if the HD input is 16:9 full frame the picture is down converted with no aspect ratio conversion and is output as 16:9 SD. If the SMPTE 2016 data indicates that the HD input is a 16:9 Pillarbox, however, a centre cut is performed and the output is 4:3 SD. Although it would normally be a requirement for an automatic system to label all the 3Gb/s or HD video images to show their format and control the down converter, with Q-Down-ATG 3G it is only necessary to label those that are not full frame 16:9 images. When the input is not labelled the down converter uses its default assumption that an HD image is a full frame 16:9. It is therefore possible to have a powerful system with the majority of signals not containing SMPTE 2016 information. The board can also be used to provide picture format information to downstream equipment, by inserting either Widescreen Signalling or one of 16 SMPTE 2016 AFD codes. The WSS can be inserted into the SD analogue and digital outputs either manually or by automatically following the incoming AFD. You can use Q-Down-ATG 3G with up to four audio groups – which makes it ideal as your main signal path down converter if you’re working with embedded audio. With a 3Gb/s or HD input it will de-embed the four groups of audio, converting them to the appropriate format before re-embedding them into the digital SD output. With a Standard Definition input it will pass the four groups of embedded audio transparently to the digital SD output. Q-Down-ATG 3G also includes signal probe functionality, making it useful for flagging up faulty signals – especially in multi-channel applications. The 14 status indications available include input missing, video black, video frozen, aspect ratio information, audio input missing, audio silent and input incompatible, with the board able to provide warnings of any problems via SNMP traps. When you’re down converting you often need to get information (such as timecode and closed captions) from the HD side into the SD side, and this can be a challenge when different formats are involved. Carried in the vertical blanking, timecode timing information is ideal for describing a set of frames unambiguously. Q-Down-ATG 3G meets the challenge of down converting material containing timecode - making it ideal for 'big system' users, or for broadcast engineers who need to trigger edits, associate audio signals or just keep track of when the video was acquired. Q-Down-ATG 3G takes the HD timecode information (Ancillary Timecode, or ATC) and translates it to the SD DVITC (Digital Vertical Interval Timecode) format. It can also insert ATC into the outgoing SD – which saves you having to decode the DVITC if you up convert again at a later stage. Q-Down-ATG 3G can also help with your system timing by using the ATC data to get the interlace phasing correct when you are down converting from 1080p or 720p – reducing the need to sort it out later using a synchroniser. 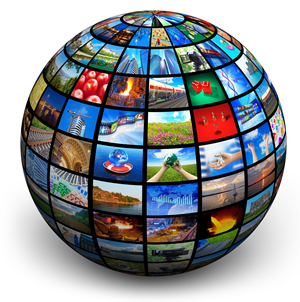 Q-Down-ATG 3G's ability to transport closed captions makes it ideal for the US market. Closed captions provide additional or interpretive information to viewers who wish to access it, such as subtitles, audio description or an alternative language. When down converting 59.94Hz video, Q-Down-ATG 3G takes the HD closed captions (to the CEA-708 standard) and extracts the data it needs to insert the corresponding SD closed captions (to CEA-608) into the SD output stream. Q-Down-ATG 3G provides the flexibility to insert the closed caption information into any lines from line 12 to line 21 - allowing the popular line 21 to be used for other data. Should you need to down convert signals from beyond the local equipment bay, it’s easy to give Q-Down-ATG 3G integrated fibre connectivity – and still only use a single frame slot. 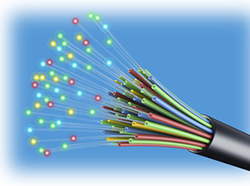 Simply request either the FIP fibre input option or FOP fibre output option to be fitted to the motherboard by Crystal Vision. Designed for SMPTE 297-2006 short-haul applications, the FIP is used to receive an optical input and the FOP to transmit an optical output using a Class I laser. The FIP is the more popular option for Q-Down-ATG 3G, with the higher data rate input having less copper cable length capability. If a FIP is fitted, you can select your video input source to be taken either from the input BNC or the optical input, with the input loop-throughs then showing whichever of the inputs has been selected. Q-Down-ATG 3G can also support a CWDM laser if required. Integration with the full Crystal Vision interface and keying range is intentionally easy, with this space-saving 100mm x 266mm module housed alongside any other product in the Indigo frames - available in 2U, 1U and desk top box sizes - and with up to 12 boards fitting in 2U - or six boards in 2U if a DA6 top board is fitted. The inputs and outputs are accessed by using the RM41 or RM57 frame rear modules, with the RM57 designed for fibre applications. If a DA6 top board is fitted to the Q-Down-ATG 3G motherboard then a RM41 + RM34 or RM57 + RM34 needs to be used instead. A total of six GPIs are available, with two fixed as GPI inputs for the recall of up to 16 presets and two fixed as GPI outputs for fault status reporting. Real flexibility comes from the remaining two GPIs which are individually selectable as either preset-recalling GPI inputs or fault-reporting GPI outputs – allowing the engineer to tailor the GPIs to his own requirements. For more visual technical information, download the Q-Down-ATG 3G block diagram.